Christmas has come and gone and it is the start of a New year. Actually it is 10 days into it, which is hard for me to believe.We lost power for 5 days days Christmas day due to a freakish snow storm here in AR ,but since we have a wood stove and a gas kitchen stove and hot water heater we did not go cold or with out hot food and hot showers. Something we were very grateful for! Our youngest grand daughter Bea came and stayed with us during that time, which always make for a great time for us. 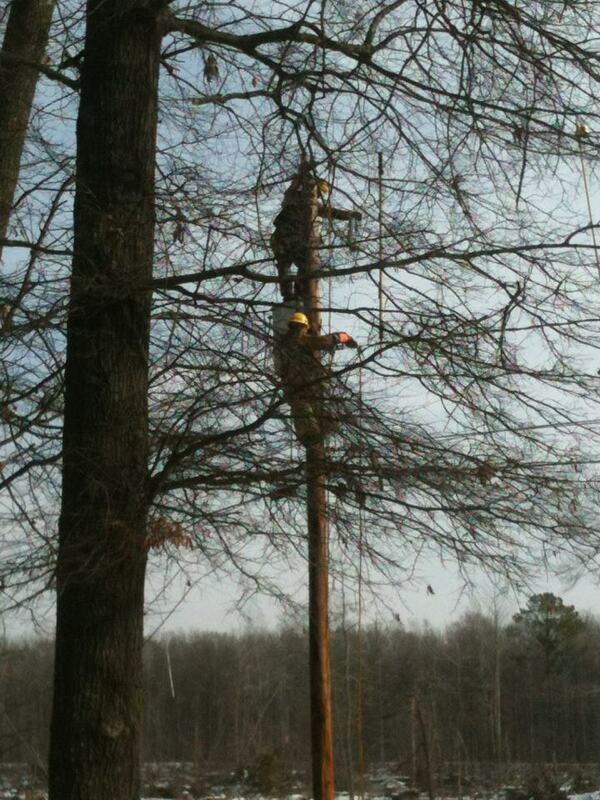 This is a picture of the linemen fixing or pole and wires =) They came from South Carolina to help Arkansas out.We were glad to see them. 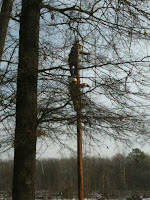 Everything I do for my business requires electricity so it was great to see it repaired. With the start of the new year we begin again with out free drawing we love to do every month. 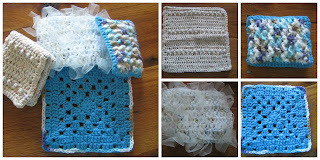 This month is one of our "Going Green" Kitchen sets with a value of over $30.00. 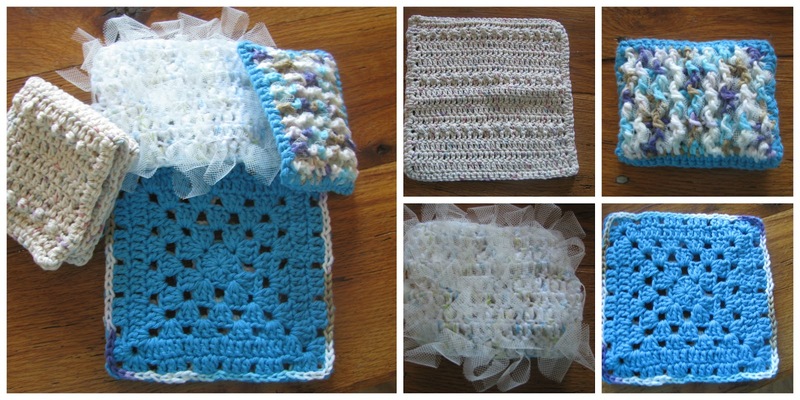 2 scrubbies, a dish cloth and a hot pad. If you are interested in trying out some items that can help save throw away's in your home, be sure and enter for your chance to win. You can find more information in the link! Check out the drawing here! 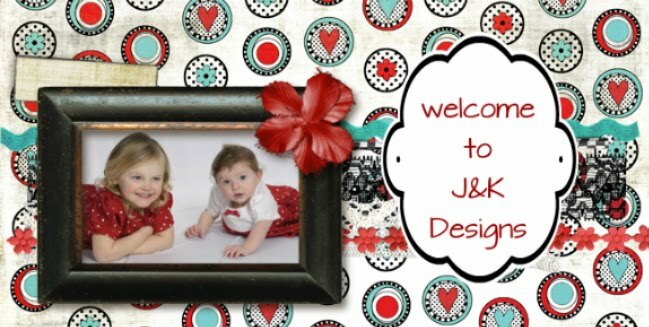 This year my goals are to get the web site finished and to add some new items to each section with some new design ideas coming as well. I also have something new in the works but will update you on that when it is ready. Here's to a great 2013!